Last week over 3 days, World Trade Center Cyprus (WTCCy) hosted a number of European WTC’s from 12 countries to showcase Cyprus as a serious business destination as well as tourism and leisure centre. Important topics of common interest such as energy sector, GDPR and EU Funding were presented by Dr Symeon Kassianides, Chairman of Natural Gas Public Company (DEFA), Mrs Cristina Sbaizero, CEO of WTC Trieste, Mr. Muhammad Chamaa, Group Compliance Officer & Mr Ioannis Mallios, Risk Manager from the Nest Group of Companies, and Mr Ed Allison-Wright, Director of WTC Gibraltar. 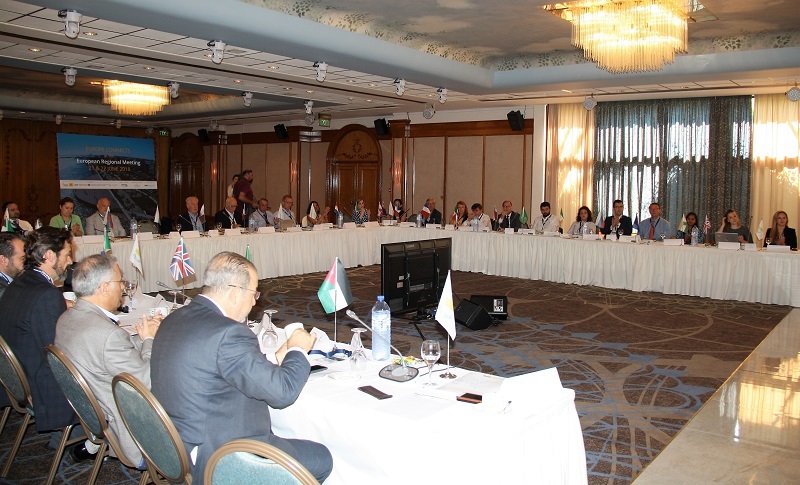 Several fringe meetings during the conference took place to discuss the topics above as well as further opportunities to arrange trade delegations in countries like Russia, Ireland, Italy and Algiers. Missions will involve commercial products as well as fine art. In addition, WTCCy has secured an agreement with specialist consultancy company in Europe on how to secure EU funding for Cypriot start-ups, bringing innovative opportunities into real products and services. Over the coming weeks and months, it is WTCCy’s intention to further capitalize on the opportunities that were identified during the conference, to help promote, and boost the Cyprus business community, attract inward investment, and promote Cypriot products and services within the EU zone.